Everybody has moments of frustration every day where they think, “God, I wish there was a machine that does *insert excruciating task here*!” And most of the time, that’s usually the end of the idea. 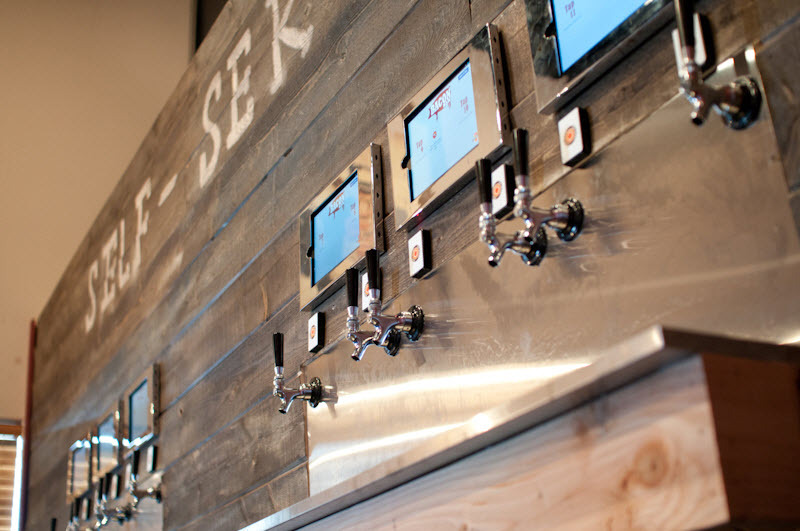 That was the beginning of an incredible business proposition: a self-pour beer system. Within a few years, Jones built a prototype and they both left their jobs to establish iPourIt, with McCarthy as the Chief Executive Officer and Jones as the Chief Technology Officer. iPourIt raised $700k in original seed funding and, as of recently, $2M in Series A-1 funding from multiple investors (some OC locals). A crucial element of iPourIt’s success, according to McCarthy, was knowing his customer and the pain points that his company was solving like the back of his hand. iPourIt brought an entirely unfamiliar product into the marketplace, so McCarthy was forced to place great emphasis on creating the market space and convincing his investors that this idea was solving a pain point. “You may know your company inside out, but you need to understand what people are looking for and what format they’re looking for it in,” McCarthy remarks. But it goes even deeper than that; McCarthy was successful because he understood exactly how his business idea appeals to each audience. For example, looking at iPourIt from the customers’ perspective, you’re enabled to enjoy immediate service without a hefty tip and the ability to sample different beers before choosing one (because you “always have a beer before having a beer,” as McCarthy says). The stores, on the other hand, benefit from the reduction of personnel, cutting wastage of beer (which is upwards of 23%), and perhaps most importantly, analytics and feedback from customers, allowing them to optimize the selection. McCarthy tailored his pitch based on his audience’s pain points, which made an immense impact in relating an idea that didn’t quite exist yet. So based on iPourIt’s success, what are some of McCarthy’s suggestions to entrepreneurs? His biggest suggestion was to never, ever give up. McCarthy remarked that, “I don’t think there’s a person who has ever started his own business who hasn’t been frustrated,” and stressed the importance of pushing towards the light at the end of the tunnel. Perseverance is especially important when it comes to attracting and choosing investors. According to McCarthy, it’s entirely up to you to be proactive and seal the deal: “You have to keep them on top of your world and remind them who you are,” McCarthy says of his countless pitch experiences. “[The investors] kind of have to choose you…You have to find someone who has enthusiasm while you’re pitching.” Maintaining relationships with investors is crucial because once you secure one, others will feel more comfortable following suit. And it’s no surprise that McCarthy spoke so extensively about persistence—the company is full of passionate, enthusiastic beer-drinkers who are willing to disrupt the industry with a bang. 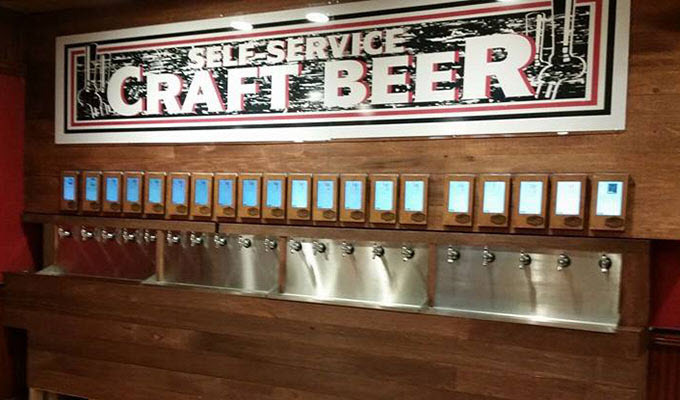 iPourIt has no small dreams; McCarthy expressed that he wants to gradually transition into self-serve beer systems being the norm, similarly to how gasoline transitioned from a manual task to a self-serve, functioning system. 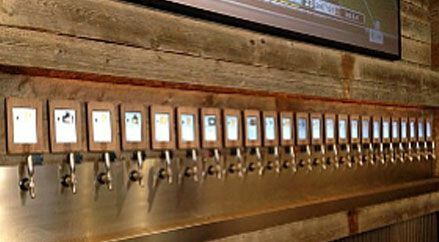 In the near future, iPourIt will be releasing an app and will be represented at NASCAR events by a trailer equipped with 60+ taps of beer and state-of-the-art ordering systems. So keep your eyes out for the future of this incredible company, remember to know your audience and your pain points forwards and backwards, and always persevere through your business difficulties!